I don't get the toggle switch position on the stock ones. "Let's put it in the most easily bumped spot!" 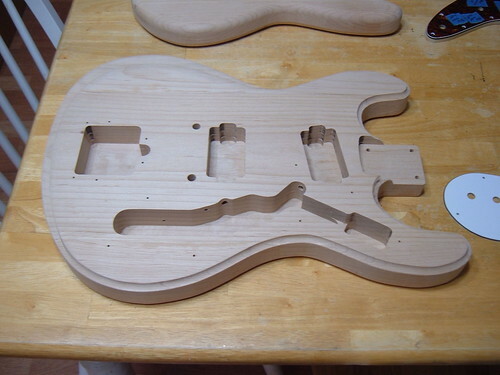 Cooterfinger is going to try to get it more like the Mosrite/Univox look. As far as the carve goes. He'll do an ace job. 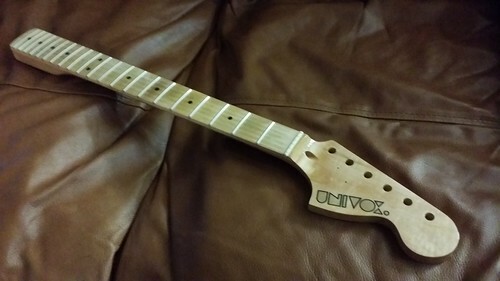 He did on the old univox body he built. 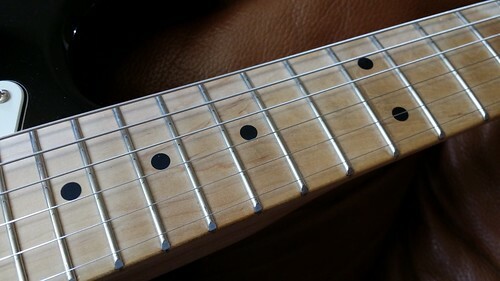 It will be hard because the guitar plays really well, but the neck I picked up came in. 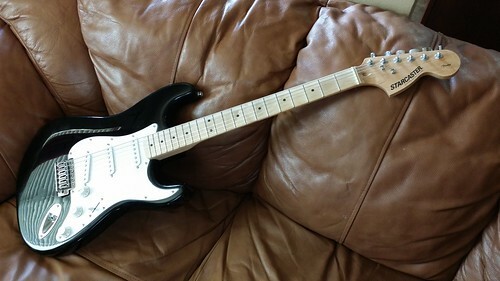 I wasn't anticipating that the guitar would sound any good since it was a cheaper guitar, but it is super impressive. 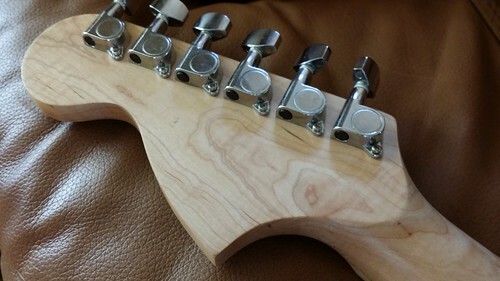 I mostly grabbed it because the neck is so lovely and it has tuners that would be easy to swap if I needed to change them without making any new holes. 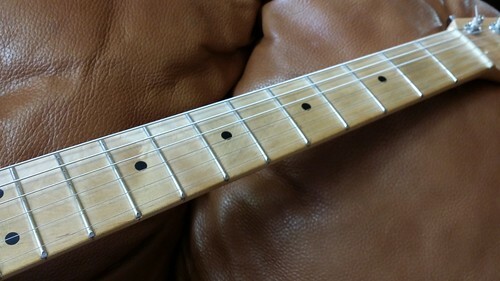 This neck is pretty hot looking. Glad I picked it up. 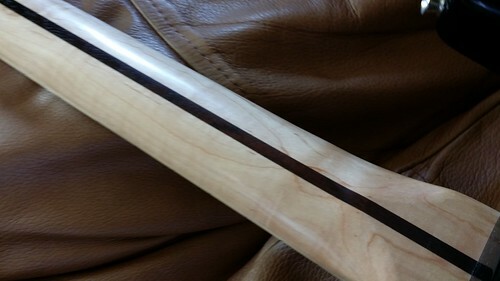 Cooterfinger's progress pics. Awwwww yeah!!!! NOOOOO! 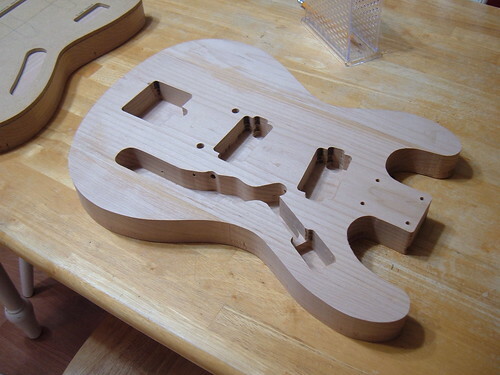 ITS GONNA BE A PERFECT BUILD! 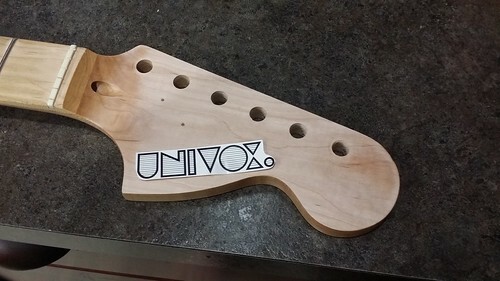 Got the tuners and trees off and sanded the headstock to get it ready for the new decal. I think it will look pretty cool. Everything came off ok. I am going to replace all the cheap little screws. 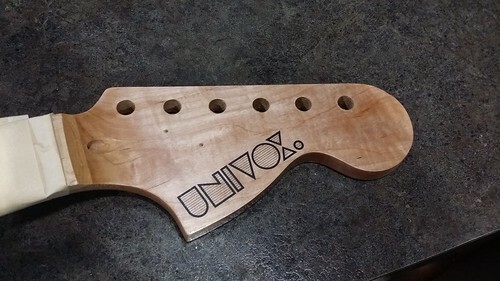 One of the tuner screws head was stripped, but I got lucky using my dremel to carve a line in the top and got it out with a flat head screw driver. It is looking great! Just need to work on clear coats now. 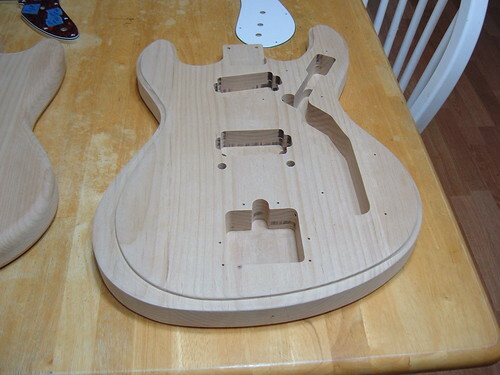 Neck is curing now. 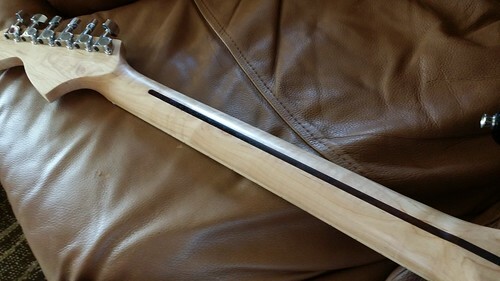 I will give it a week or so before I knock the gloss back with steel wool or my fine sand paper to be satin like the rest of the neck. After that I can put all the hardware back on. Body came in today! Super psyched. I did some light sanding in some areas and then mixed up some white milk paint and got to work on my first brush on coat. I am using a foam brush and 3:1 thinned paint. 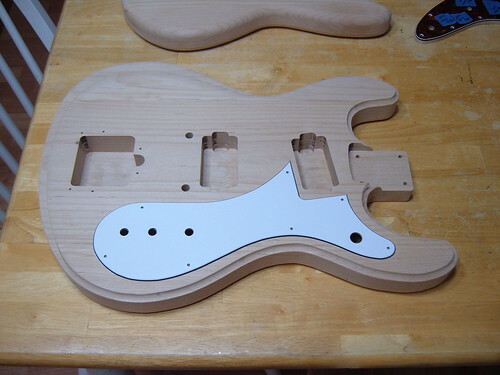 I am hoping to have a whitewash/blonde finish when I am done. 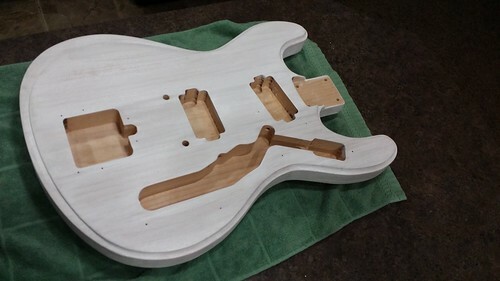 First coat went on pretty easy. This stuff seems to work well. 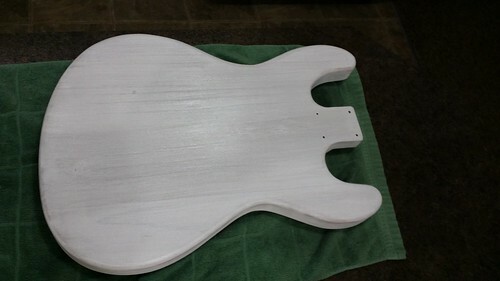 First coat on the back! Wow, that got there a little faster than expected. Thanks again! 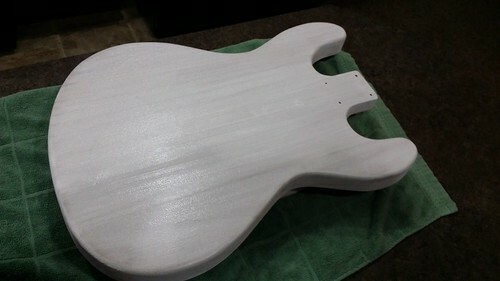 Second coat of milk paint on the front. Looking more even. 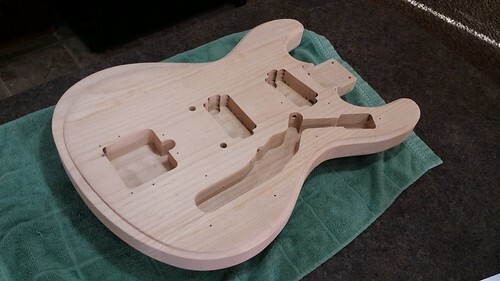 I will let it dry overnight to lightly sand tomorrow and do a third final color wash. Then I will wait a day and start spraying clear over it. 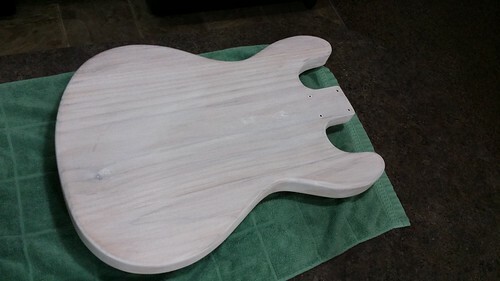 Coat two of whitewash on back. 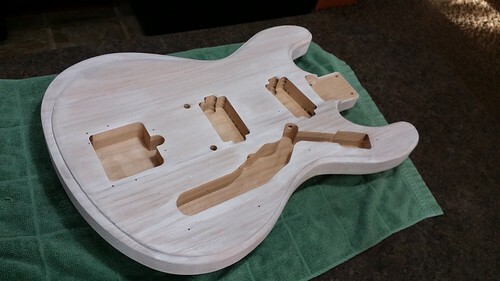 Last coat on the front and back. I will check it this afternoon after work. Not sure if I should seal it or use the clear to seal it. 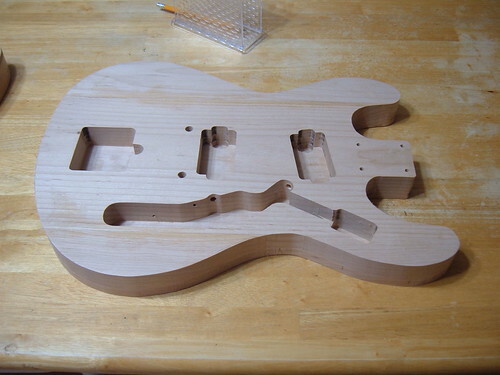 I don't want to risk sanding though.